MZF Medical Services (Hicksville) - Book Appointment Online! Welcome to MZF Medical Services, PC. We put your family’s health and well being first, and invite you to come in for a consultation to answer all your concerns. We accept all major insurances. 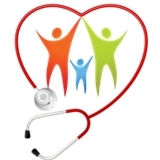 We are an organization that provides the latest healthcare information for families like yours. We strive to offer the best advice and most current news to keep your family as healthy and safe as possible. For your convenience we speak English, Spanish, Persian, Hindi, Urdu, Gujrati.